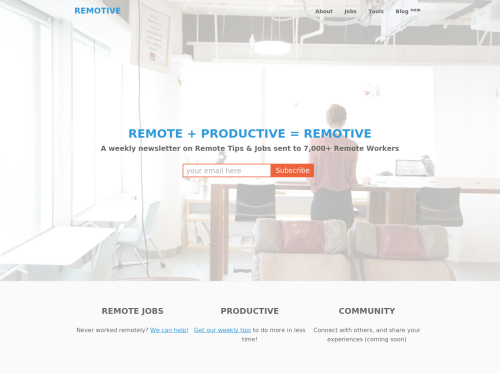 Remotive.io is a newsletter, blog, and jobs board for current and prospective remote workers. We provides unique insights and tips that no other website offers. Over the next few years, remote work will grow dramatically and Remotive.io is where you'll find your remote job, and learn how to do it successfully.